You may have wondered why we haven't had an event recently... We've been working super hard to bring you an exciting event you won't forget! Coming THIS WEEKEND is our brand new TruckersMP Summer Weekend 2018! Starting from Saturday 28th July 14:00 UTC (More Timezones) we will be hosting six event's, twelve hours across the whole weekend, packed full of convoy's, games, prizes, and racing to provide you, the players, a summer to remember! Check out the schedule below to see what's planned. We will begin with a Public Convoy across France to celebrate their World Cup 2018 victory! Enjoy a pleasant drive through beautiful villages and the scenic countryside. Also, lots of tolls. Got enough spare change? Requires Vive la France DLC. You will have 60 minutes to find a lost trucker. If you are the first to find one, flag them down by honking to get their attention, and you will win a prize! When one has been found, they will pull over with their winner and can no longer be claimed. Good luck! Nothing beats a memorable summer event like a racing tournament! We will be hosting a Grand Prix for ETS2, where lucky contestants will be randomly selected into the Qualifier Rounds. Six truckers will compete in each race, with only the top three going through to the next round. In total there will be four rounds, the Qualifier, Quarter Final, Semi Final, and the ultimate Final. Up to 48 lucky players will be selected into the Qualifier, 24 will go through to the Quarter Final, 12 in the Semi Final, and 6 in the Final. You will need a big engine, plenty of grip, and a lot of nerves. Got what it takes? DUE TO RECENT DOWN TIME THE BELOW EVENT TIMES HAVE BEEN AMENDED. UNFORTUNATELY THE TREASURE HUNT HAS BEEN CANCELLED DUE TO THIS. 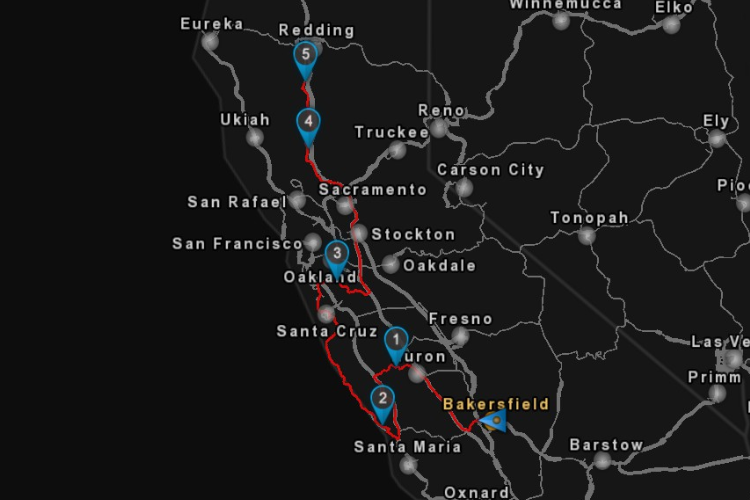 Our second convoy will take place along the coastline, through woods, and along narrow roads as we head across California! This is the true summer experience. How can we say no to more races?! Be one of our lucky contestants and you will be shifting around terrifying sharp bends, dizzying high jumps, and slippy dirt roads! Show 'em what American trucks can really do with our second racing tournament, as you tackle our Qualifier, Quarter Final, Semi Final and Final rounds. All of this will be streamed over on our Twitch.tv channel https://www.twitch.tv/truckersmp where you can receive live updates on events, chat with us, and enjoy the music! Have a great summer everyone and I hope to see you there!